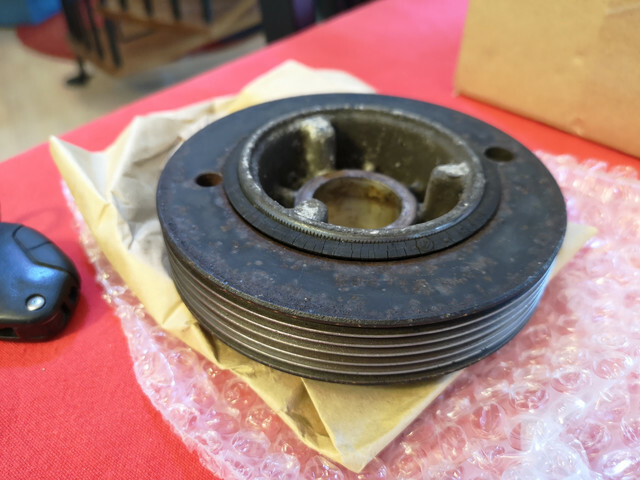 The new crankshaft pulley for the Xantia arrived this morning. Comparing old and new it's pretty clear that the old one is well and truly knackered. It's very clear that the outer edge has moved relative to the "hub" - the result of course being the belt being pulled out of line. 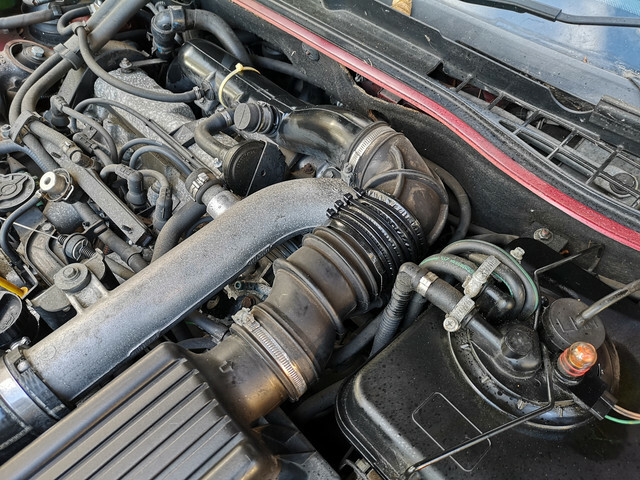 Swapping things out was literally a case of "de-tension belt, unbolt, remove pulley, put new pulley on, clean bolt, apply thread lock, tighten bolt, re-tension belt, tidy up." Which was about the long and the short of it. It does appear to have resolved things for the most part. I've marked the pulley and bolt and will be keeping an eye on it to make sure it's staying bolted up before I put the wheel arch liner back in. The oil leak - which looks massively worse here than it is - the car has never left so much as a single drip of oil where it's parked - is from the cam cover. I'll get it replaced at some point, though it's pretty well buried, so it may well be a while before it gets to the top of the to do list. Tomorrow's task is probably going after this with a set of good quality hose clips. I know that there's some air getting into the system, and the perpetual film of oil there tells me that one of the return hoses is weeping slightly...so hoping that going over things properly will resolve both of these issues. Which took me all of 30 seconds to get the screw out, remove dead battery, find replacement (2x CR2032) and put it back together again. So why on earth had I put it off since mid May when the remote stopped working?!? Hard to believe we're only a couple of weeks away from a full year that I've had the Activa in my fleet. Means it's service time. 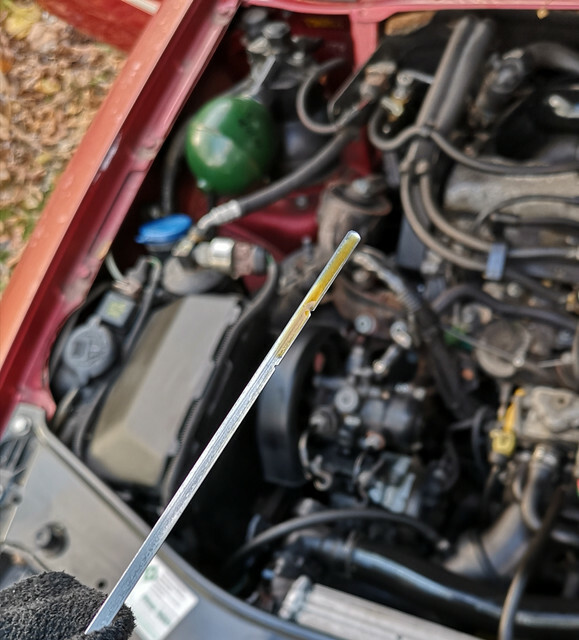 Picked up fresh oil, oil and air filters and a new set of wiper blades (as my use of the windscreen washers yesterday made it abundantly clear how knackered the set on the car was). The rear has a fitting type that's quite hard to find these days so that was a case of dismantling and rebuilding it with new rubber. Oil and filter will be done tomorrow, air filter was done today though. Not the worst I've seen by a long shot, but definitely due a change. Have already got a pollen filter in stock too, so will stand on my head in the passenger footwell to change that too in the morning. 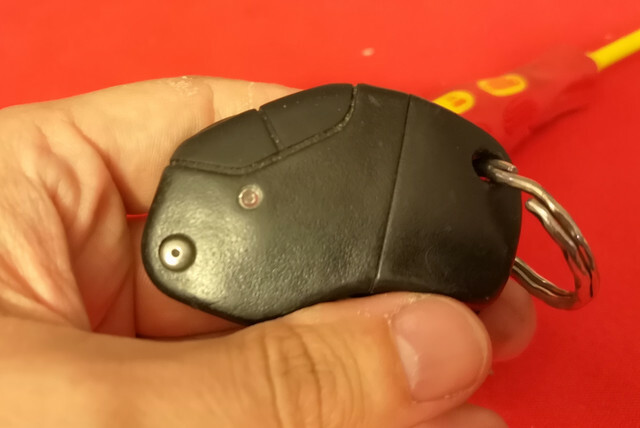 The Lada has always in my ownership had an issue with the fact that you could only ever use the windscreen washers twice or three times before the whole system would clog up and need to be dismantled and declogged. Main issue was slime growing in the tank. It also had issues in that the lid had split (they all do that) which had left the pump dangling by its hoses. So today took it out and gave it a thorough clean, while I was there I bolted the pump back onto it. 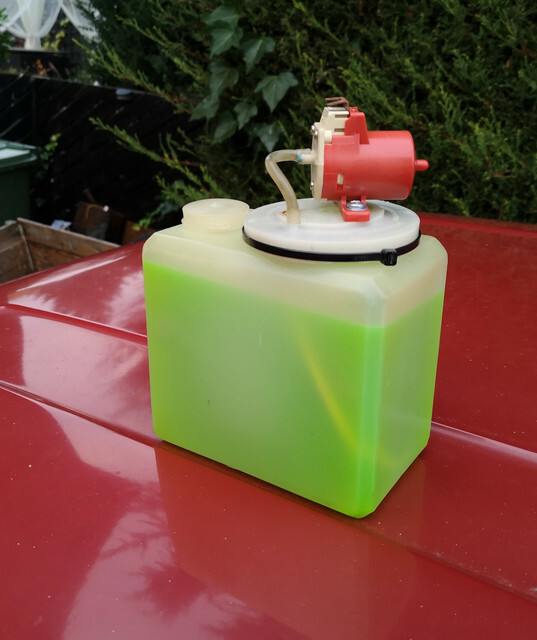 The lid was reinforced by wrapping a cable tie around it, clamping it to the rim of the tank. It's not pretty but works. Much better. Hopefully will be able to use the washers more than twice now, and have one less thing to worry about come MOT time...most importantly though it won't bug me every time I open the bonnet. 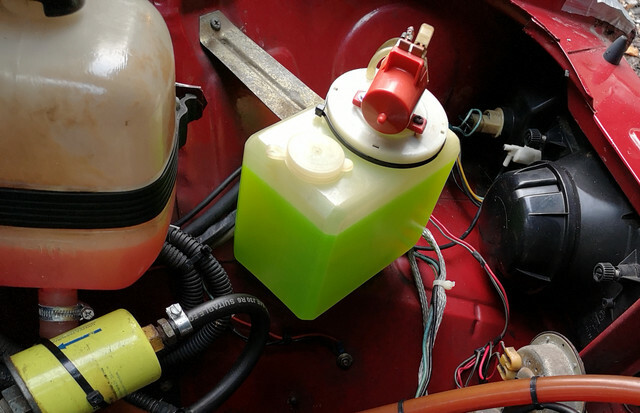 The obvious question looking at that photo though is "where has a large chunk of my coolant gone?" ...Guess that will be first on the list once this weekend's festivities are out of the way. With the knowledge that the Activa has a 300-ish mile trip tomorrow I wanted to give it a once over. Also wanted to finish the service I started the other day. Okay...first off drain the oil, five minute job with no mess because I'm lazy and use a pump. 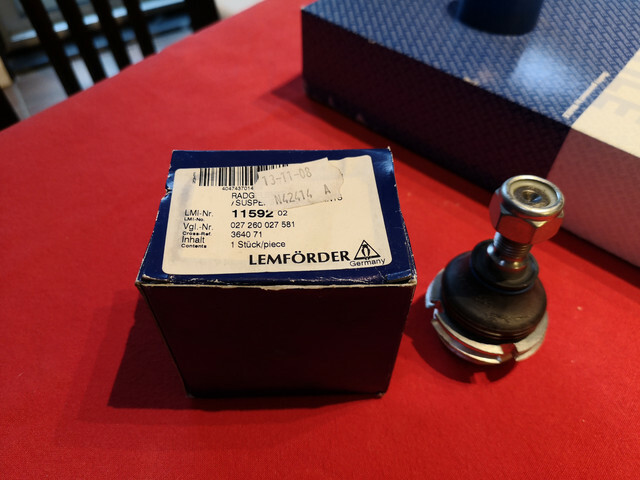 Oil filter required 15 minutes of faffing around to get off simply because it's a royal pain to get at, even when you've already done it twice. It would be easy if there wasn't a boost pipe in the way to the left and a million high pressure hydraulic lines to the right. 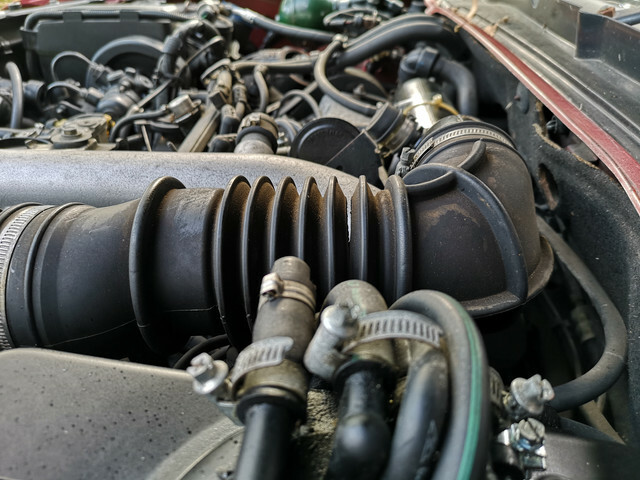 Once I convinced it to move it was a simple matter of spin it off, spill oil all over the front of the engine because it's mounted the wrong way up, and stick the new one on. Then fresh oil in, start up and check the level. Having measured what came out, this was where we were first try. While I was in there I checked that the crankshaft pulley bolt hadn't unscrewed itself, it looked fine. 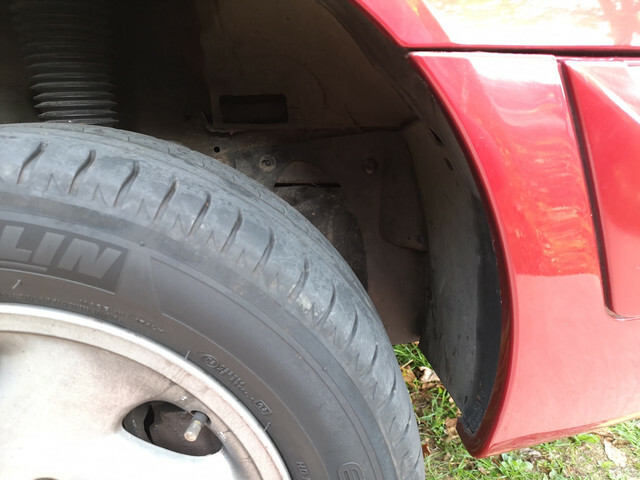 So put the wheel arch liner back in. So *that* would be why a little while ago I suddenly started to be able to hear the turbo wastegate going *pssschooo* on every gearchange. Nothing for it with a trip halfway up the country the following day, pulled it off, got some good quality duct tape in there and wrapped some cable ties around it so the tape can't unravel. Better solution would have been self amalgamating tape, but I couldn't find it. So duct tape it is. The hose has gone very hard, so replacement is probably the only long term solution. It's basically just a glorified elbow though, so I'm sure a silicone replacement could be sorted easily enough (as knowing PSA the original hose will be long since NLA). 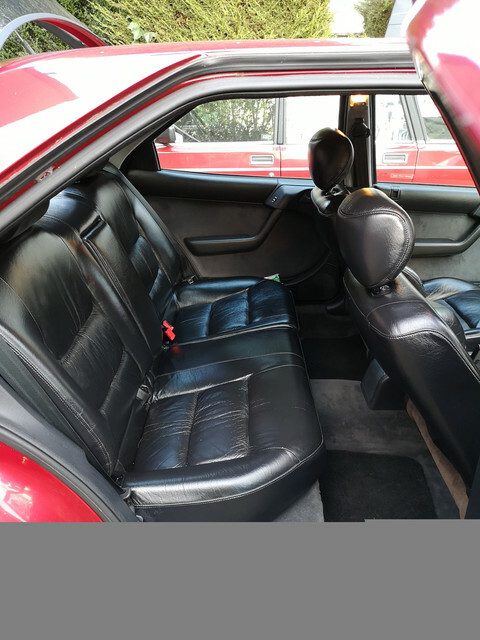 Last task for the day was to clear the detritus out of the boot and to give the leather a quick skim over with the leather conditioner. Really need some new floor mats in the front. If I've got to spend several hours stuck in a queue on the M6, I may as well do it in a clean car interior that smells nice. So the Activa provided us with lovely comfortable for the 400 ish mile trip to and from Scotiacon over the weekend. Didn't miss a beat I'm glad to report. Can also vouch for those newfangled Valeo "Hybrid" wiper blades are brilliant. 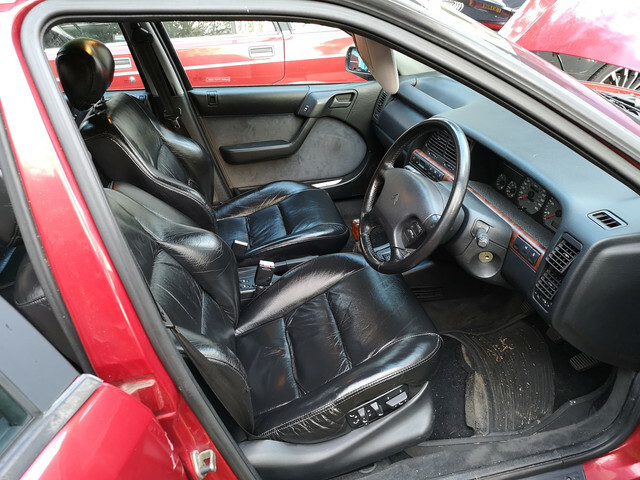 Given how epic a long distance cruiser the Xantia is by the standards of *today* it's hard to picture how capable car they were back in the day. Time for a bit of time for the van. Initially set out to investigate the non-functional heater blower. Wondered if the blower assembly would be accessible from under the dash with the engine cover removed. That would be a no. Annoying...looks like it will be a dash top off job then. Oh well. 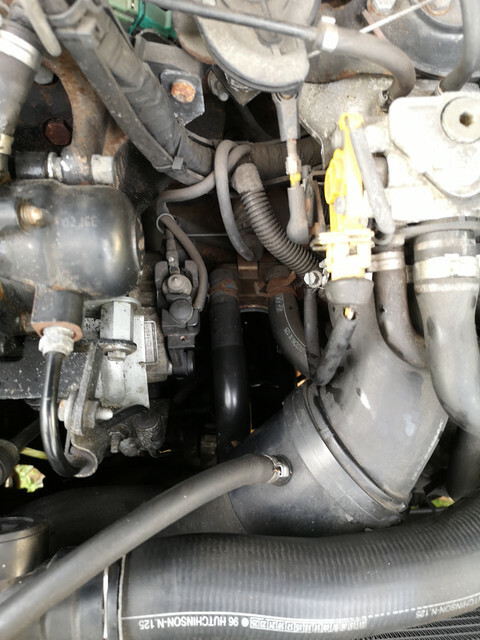 While I've got the cover off (it's a bit of a faff to get it right out the vehicle) I may as well get the only oil leak of any consequence sorted, the timing cover has been weeping from the front offside corner. Sure enough, with the cover off it was obvious that the old gasket has turned to plastic and was cracking around that corner. New one was only £12 from Mercedes themselves so wasn't worth messing around with eBay nonsense or playing supplier roulette. 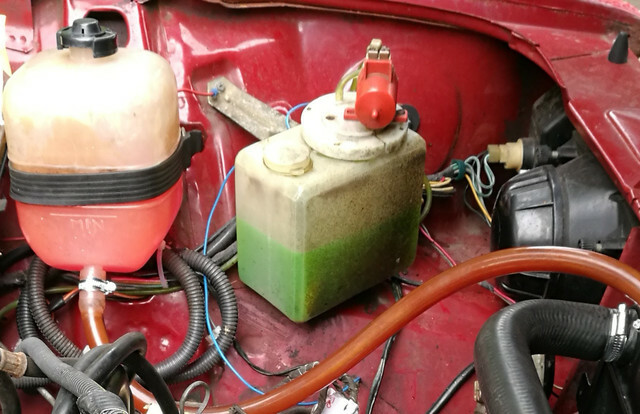 Isn't that the cleanest engine top end you've ever seen? Definitely seems to suggest that the story of the van having no expense spared on maintenance by the original owner. 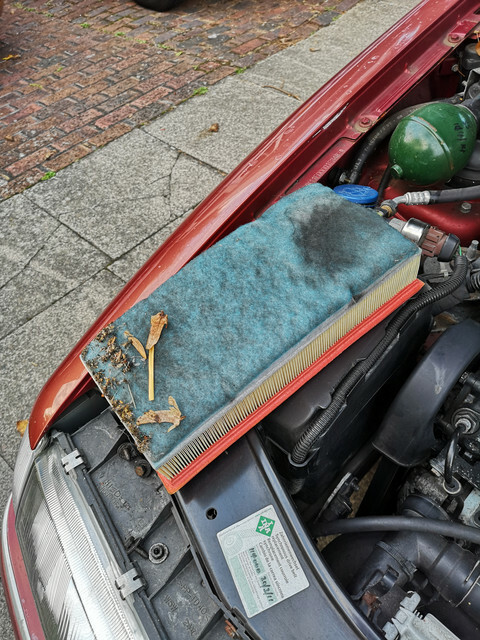 Need to give the front and side of the engine a scrub down to confirm, but it appears to now be oil tight again, be nice to have it all cleaned up before the MOT next month. Oh...need to sort the exhaust though. Missing hanger on one box (so it buzzes like mad) and a huge hole in the other. 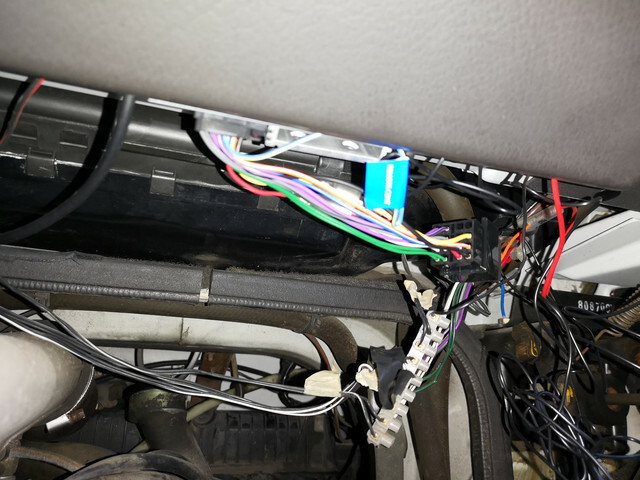 Oh...any tidy up that radio wiring... it's a mess, and now I've seen it I can't unsee it. 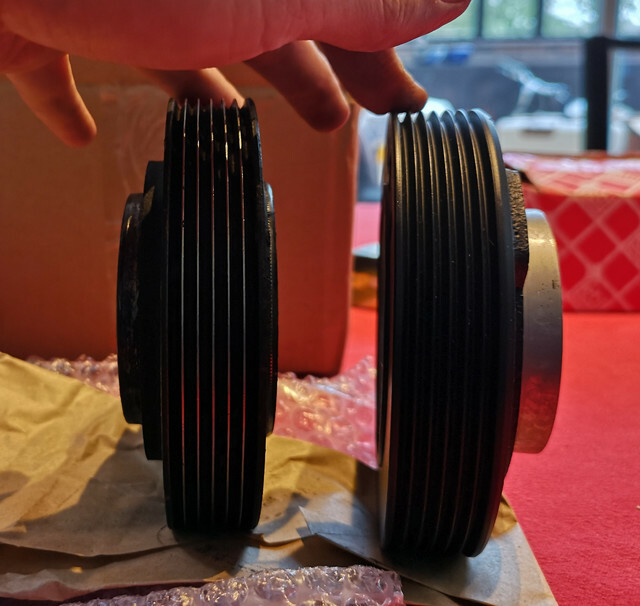 The front pulley is similar to that one that failed on our Pug 1.4 Hdi .. we had a weird rattle which I couldn't trace .. but then started to see reddish dust on the engine at the belt(s) end .. Thinking it might be the aux belt took it off and when replacing it noticed the pulley was a bit "wobbly" .. so that was how I traced mine. Anyway it turns out it was a core plug in the head. Hidden behind the exhaust manifold and a tiny turbo it was hard to spot. It was also a tiny hole but leaked loads. 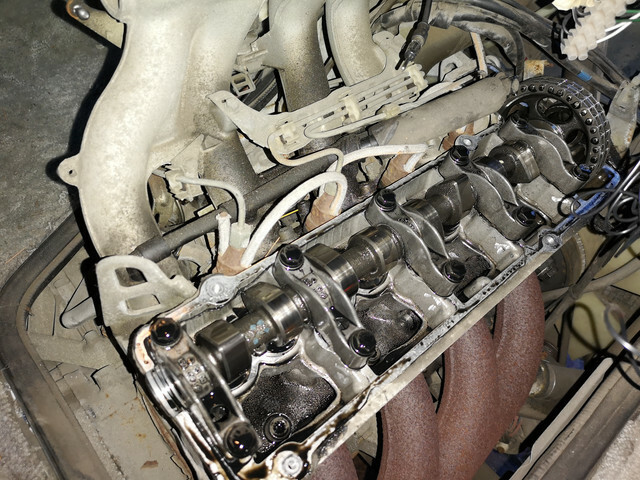 It took longer to remove the manifold studs to get the manifold off than dig out and drift in two new core plugs. You can't take the exhaust manifold off without removing the steering pump bracket .. wonderful design by PSA/Ford!! Rather than try that and possibly break the steering pump hoses (as well as dismantle half the engine! ), taking all the studs out meant I could side it off sideways! Not sure if it was a common method but my local PSA dealer had them in stock!! Maybe that's how the stealer's do it too!! They went back with the aid of a torx socket .. even the stud ends are shaped for easy installation! "If you're driving on the edge ... you're leaving too much room!" 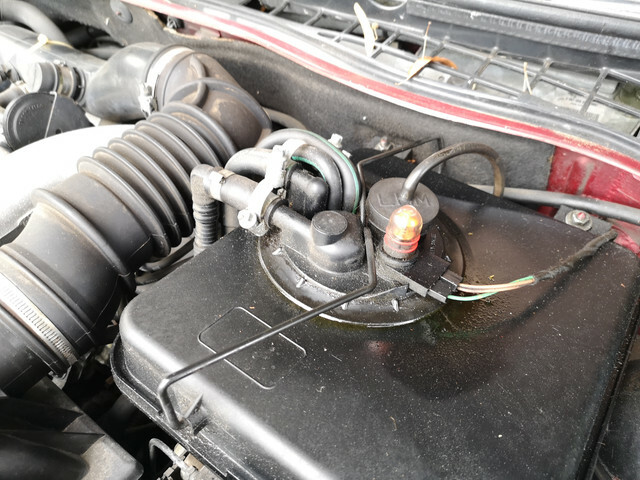 Surprises me how often you hear of core plugs failing these days, always assumed that would be a problem largely left in the past where being running cars with plain water in the system being commonplace was. So had the Xantia in for the MOT today. 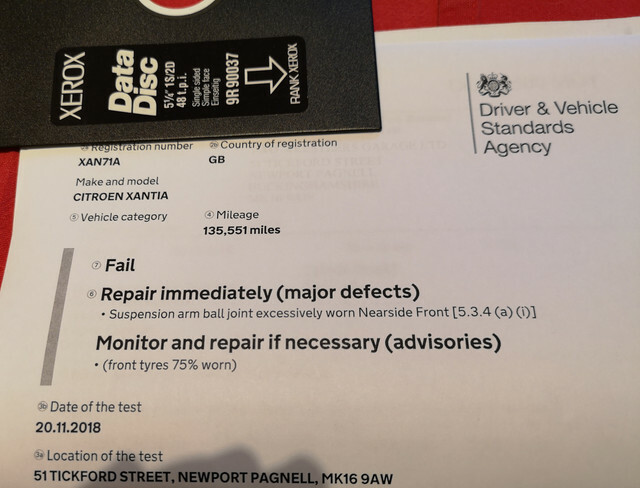 Sadly not a pass, but this was pretty much expected as I knew there was a bit of a clonk from the front that I suspected might have been a ball joint or drop link that was on the way out, so I was going to ask the tester to have "a good poke around" if it hadn't immediately been found. Usefully a quick rummage through my box of bits of Xantia turned this up. It's booked in to be sorted on Friday. Could probably get this done myself, but I've a bit of a rule about faffing with hard suspension components. I don't! I've done enough "simple ball joint swaps" which ended up being anything but, so these days it's worth enough to me getting someone else to do it. Just too much stress otherwise as if anything goes sideways I don't have a four post lift and tens of thousands of quid worth of tools to hand! Having a good local garage I trust helps too. New tyres are also already on the radar as I'd be looking to replace them shortly on age grounds anyway. New set of UniRoyal Rainexpert 3s will be going on soon, hopefully before the winter really arrives in earnest. You need a special tool to unscrew those and they can be very stubborn. 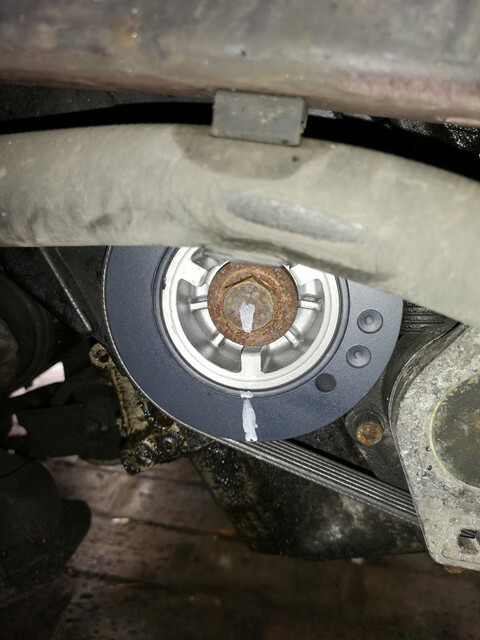 My local garage proprietor tells a story of how he applied heat to try and release it and the ball joint exploded violently and embedded itself in the ceiling. That's one more reason I'm getting the garage to do it. They're no stranger to Citroens (and have known this car for probably ten years or so) so should have the necessary socket to unscrew it from the wishbone.